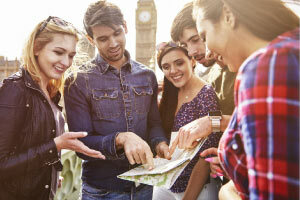 Learn more about English for tourism in the area of tour services. English is the main language of international communication and is essential for people working in the tourism industry. This course introduces the key vocabulary and skills needed to speak English with tourists. This course details the English necessary for working in tourist information offices including how to provide directions, understand guidebooks and write press releases. The English needed for conducting guided tours is also defined. These sections detail how to explain a tour itinerary, how to politely book a tour for a customer and how to conduct a tour commentary in English. This course will be of great interest to non-English speakers who would like a career in the tourism industry, and who now wish to learn English with a focus on the travel and tourism industry. After completing this course you will be able to: - Understand the role of tourist information offices and their staff; - Explain guided tour itineraries using the present simple and predictive future tenses; - Politely take a guided tour booking from customers using indirect questions; - Provide specific and subtle directions in a guided tour commentary; - Utilise adjectives and superlatives effectively in a guided tour commentary; - and use the passive voice effectually in a guided tour commentary.